So much to do, so little time! Call, fax, e-mail, or stop by the shop any time from 8:00am–10:00pm. We’ll point out some of the “must see” spots on Kauai, answer any questions, and steer you to the best activities companies on the island. 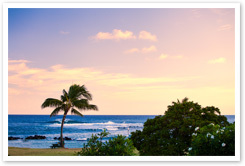 Our desk is located right at the entrance to Brennecke’s Beach Broiler restaurant at Poipu Beach Park.